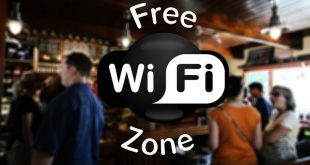 You own a small business where you don’t allow visitors to use the work Wi-Fi. In all the above situations, you might feel tempted to boot people off your WiFi network. Well, you can always kick people off your WiFi network by changing the WiFi password on your router. But then this will disconnect all the other connected devices. If you don’t want to go through the pain of re-entering the new password or politely asking the person to stop using your WiFi doesn’t work, here are a couple of ways to boot people off your network. All these methods are free, works on all platforms and the best part is, you don’t have to play with complicated tools like Wireshark. So, let’s get started, shall we? To disconnect Wi-Fi users from PC, we are going to use a free application called Netcut. Though Netcut is an older project, it works fine on Windows 8 and 10. The user interface is straight out of the 90s though. To get started, download Netcut from its official website (link below). Next, install the application just like you install any other Windows program. You might also have to install another program called WinpCap after installing Netcut. Don’t worry, you don’t have to do anything extra for it. The WinpCap installation screen will automatically appear after you install Netcut. Just follow the installation wizard and you are good to go. While installing, you might also have to restart your computer, so don’t forget to save all your work before installing the application. 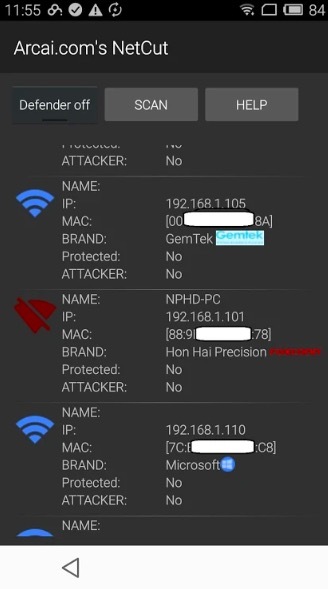 Once you install and launch the app, it will give you a list of all the devices with their MAC address that are connected to the same WiFi network. Select the Mac address you want to block and click on the “Cut” option. This will disconnect the internet from the target device. To bring the internet back on, click on the “On” button. The workings of Netcut is pretty simple. 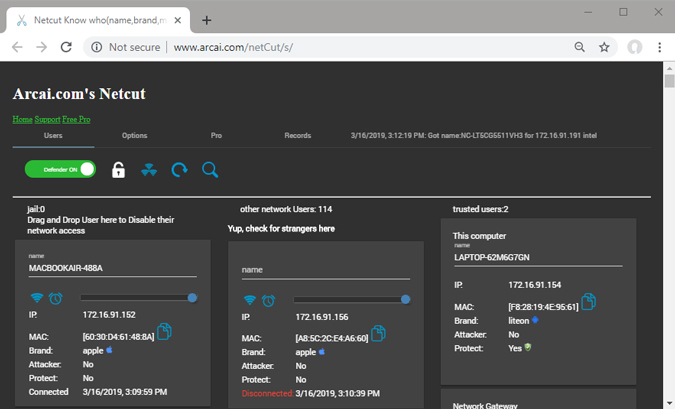 When you start the Netcut app, it spoofs the MAC address of Router and makes the victim’s device believe that it is the original router. Now, the victim’s device starts sending all the data packets to your device (that is running Netcut). Once that happens, NetCut app doesn’t forward those packets to the router. Instead, it just drops them. This results in the internet connection to not work on the victim’s device. 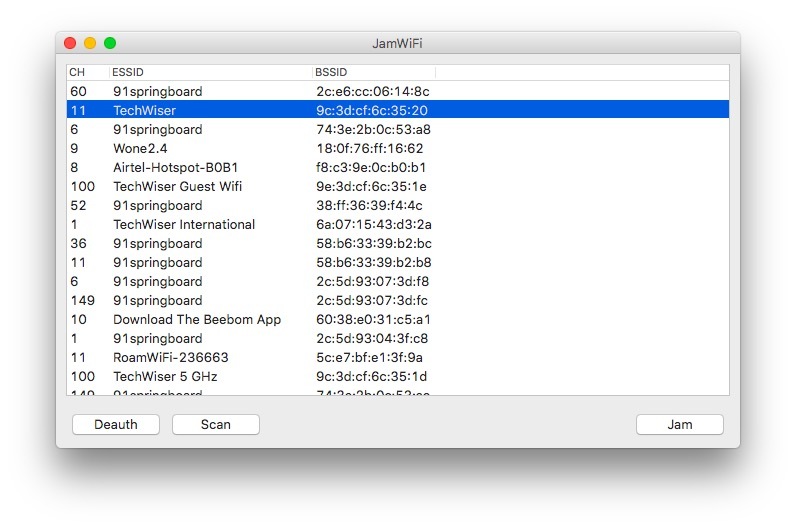 JamWiFi is a Mac app that lets you boot people off your network. For obvious reason, it is not available in the App store. To start off, download the app from its official website (link below). Once downloaded, install the app and launch it. Now, depending on your security settings, you might not be able to launch the app. To fix that, go to your System Preference > Security and Privacy > Allow apps download from > and then allow JamWiFi. Once the app opens, click on the scan button at the bottom to scan all the WiFi network around you. Once it loads all the WiFi network around you, select a network you want to block. It’ll show you the list of MAC addresses on the WiFi, select the one you want to block and click on “deauth” button at the bottom. This action will disconnect the Internet from the victim’s device and your computer too. When you want to give their internet back, click on the “done” button. It’ll turn on the Internet on both your devices. Can disable the internet of multiple devices (or even on every device) on the network. When you use this app to kill the Internet of other devices on the network, it will also disconnect the internet from the host computer. i.e. your computer. The way WiFi Jam works is different from how NetCut application works. Instead of acting as a router, JamWiFi sends continuous de-authentication packets to the victim’s computer. So, every time the victim’s device wants to connect to the network, JamWiFi will send a deauth packet to disconnect it. In almost all these apps, one thing that is common is that they require root access. If your device is not rooted, you simply cannot use these apps. Now, the app that we recommend is – Netcut, made by the same developer who made NetCut for Windows. And yes, Netcut for Android also needs root access. So go ahead and download the app from Google Play Store. Launch the app after installing and give it the root access when prompted. Next, search for the device whose internet you want to block. Once you find the device, click on the red WiFi symbol next to it. This action will disable the internet on that device. You can also move the slider appearing in the middle to alter the speed of the connection. NetCut does not create a packet storm to kill the internet of other devices on your network. Available on Google Play Store and is currently in active development. Control the Internet speed on victims computer. You can search for the devices by its name instead of the MAC address. Can disconnect the Intenet of only one device at any given time. Some features may go paid in future. This is the most popular way to remove people off your WiFi network. Login to your router and look for DHCP settings. Some routers have the option to disconnect devices directly from their mobile app. However, if your router does not have this option, you’ll have to do it manually. Every router configuration is very much dependent on the manufacturer. So, to kick people off your WiFi network by disconnecting the offending device via DHCP server or to bind IP and MAC addresses, you need to consult your router manual. Generally, both these operations are pretty simple and straightforward. So, you don’t have to worry about anything complicated. Alternatively, you can also call your ISP and tell them that someone is using your WiFi without your permission. Most routers have a remote access feature, where the ISP can log into your router and find out the WiFi moocher. 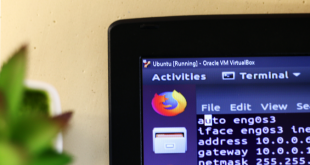 By default, the remote access feature is disabled on most routers. But you can easily enable it with just a few clicks. Again, the way to enable or disable remote access is different on every router. So, consult the manual. That being said, as good as the remote access feature is, it is also scary. Imagine a person sitting 1000 miles away from you logging into your router any time he wants. This is why we recommend the WiFi security features like changing your default WiFi password, disabling remote access when not using, etc. Not everyone has access to the routers. This not a very beginner friendly method, especially if you’ve never configured a router. The other person can check if you have blocked him/her or not by logging into the router. While there is no way to kick someone off your WiFi using cmd or terminal, the following method works in every situation. 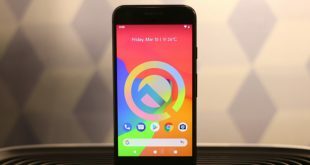 For instance, if you don’t have access to a computer, rooted Android device or even when you kick someone off your WiFi with iPhone, you can still block the internet connection of any device on your network. First off, simply find the IP address of the device on your network that you want to block, let’s say, your neighbour is mooching on your WiFi and his IP address is 19.169.1.103. 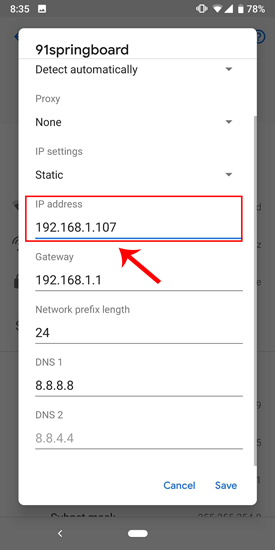 Now, you have to assign this same IP address to your device by going to the static IP address settings. Here is a detailed article on how to how to assign static IP address to your devices. What’s happening here is, since you are using the same IP address as your neighbour, the router will get confused. Since every router is different there are three possibility here – the router simply disconnects both the devices from the network, the router will disconnect the old device from the network or you won’t be able to connect to the network. One thing to keep in mind is, this method may not work every time. Especially when the DHCP server is configured to assign automatic IP addresses. This is because the victim can reinitiate the connection and the DHCP server will give him/her a new local IP address. Can work on any computer or smartphone. No need to install any app. No option to block multiple devices on the network or control speed. Might not work in every situation, since this trick depends on your router. You should know the IP address of the other device you want to block. When two devices on the same network have the same IP address, the router gets confused and blocks the internet of either the old device or both devices on the Network. So, there you have it. These were some of the ways to disconnect other users from your Wi-Fi Network. The best way is to use dedicated apps such as Netcut for Windows and Android or JamWiFi for Mac. If you have any questions, let me know in the comments or tweet us. Make sure you don’t use it to prank your friends because you never know if they are working on an important project or carrying out the banking transaction. But a little fun once in a while is probably okay. After all, what is life without a little fun! Next Best Font Manager for Mac – Which One Should You Use?